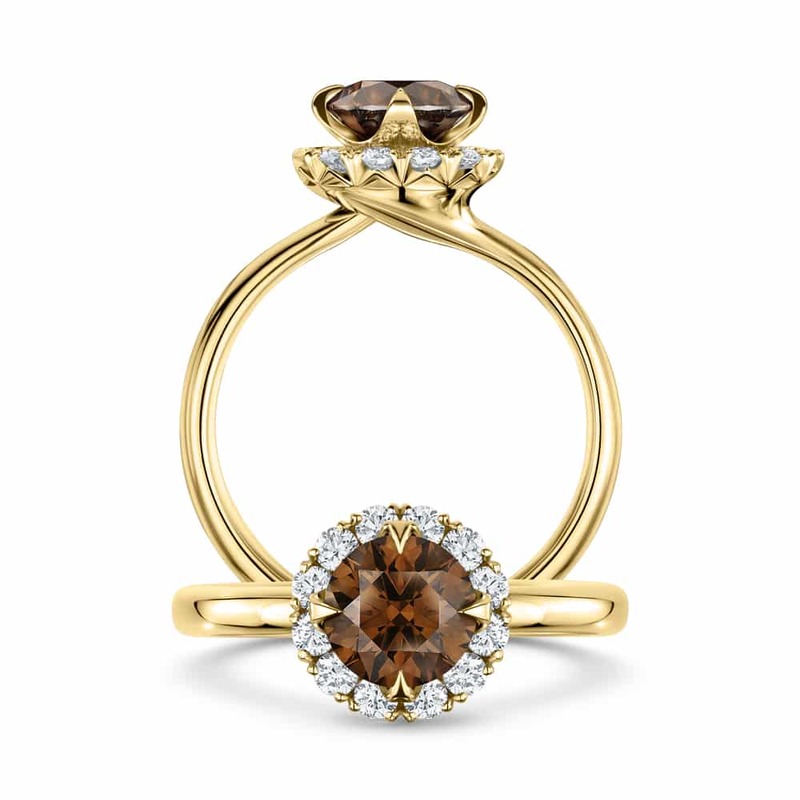 A queenly and elegant, intricate design, the award-winning Renaissance holds a cluster of diamonds crowned with a stunning chocolate stone. The beauty of this ring, so laden with magical touches, is in the design of the band, which gives rise to the central setting, appearing to flow through the halo to hold the sensational chocolate diamond, with its shimmering ambers and warm browns. A beautiful piece to reign supreme in your collection. A captivating 1ct chocolate diamonds centre – VS/SI, with 0.30cts G VS surround set in mesmerising precious metal.